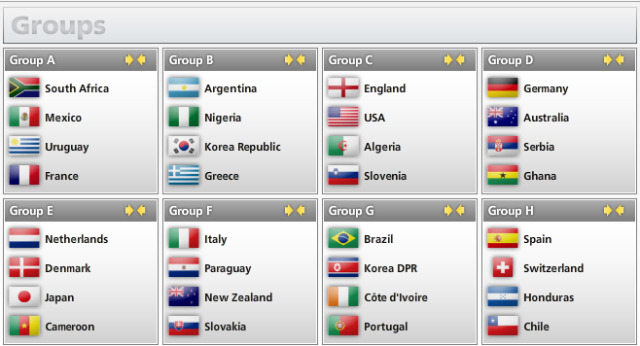 The draw for the 2010 World Cup in South Africa took place at noon EST today. Seems like a pretty balanced distribution in the draw, with no blatant Group of Death. That said, never underestimate what can happen: http://en.wikipedia.org/wiki/England_v_United_States_(1950). Bookmakers William Hill immediately installed England as second favourites after their easy draw. And there we have it, let the excitement, and boozing start. Now I just need a client who needs coverage in South Africa during the cup!